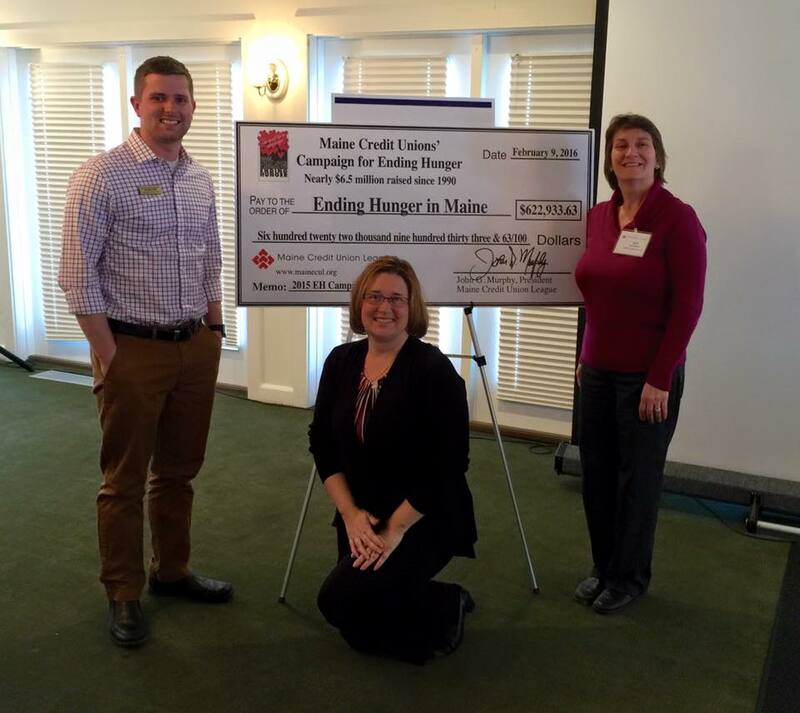 Sabattus Regional CU helped raise a record-setting $622,933.63 to help end hunger in Maine! We are pleased to share this great news with our membership! The results have been announced and Sabattus Regional CU placed in the top twenty-five standing in both total funds raised and highest per member contributions for the 2015 Maine Credit Unions’ Campaign for Ending Hunger. We placed #15 in total funds raised and #4 in per member contributions. We could not have done this without you! Thank you to all the volunteers, staff, local businesses and members who were part of this outstanding fundraising effort. Look out 2016! The success of the 2015 Campaign once again exemplifies what Credit Unions can accomplish when we work together collectively for a common cause. Thanks to the generosity of Maine’s Credit Unions, including staff, volunteers and members, we have reached another milestone in our efforts. We are pleased to announce that a record-setting amount of $622,933.63 was raised to help end hunger in Maine. Together, since 1990, Maine Credit Unions have now raised more than $6.5 million for the Maine CUs’ Campaign for Ending Hunger. We can be proud of the fact that 100% of this has gone directly to hunger organization is Maine. Sabattus Regional CU will have a total of $11,672.07 to distribute to organization(s). These funds represent 100% of the $10,372.07 we raised and additional reward grants of $1,300.00 for our top 25 placement in both categories. Thank you again to our volunteers, staff, local businesses and members who were part of our 2015 fundraising effort… we could not have done it without you!